Minardi started the 2005 season with Dutchman Christijan Albers, of German touring car (DTM) fame, and Austrian Patrick Friesacher behind the wheel. Albers had already been close to the team for many years and was rumoured to be signed up for a race seat as early as 2001. 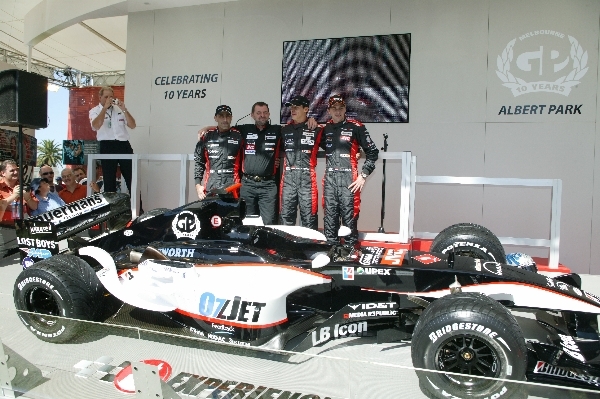 Sponsorship wise, Paul Stoddart's airline Ozjet took the most prominent spot on the car. All of this was but a side note, however, as the season started with Paul Stoddart taking on all of Formula 1, debating whether he could or could not use his old cars for the first three races of the season. Though a completely new car had been planned for 2005, Minardi arrived at Albert Park with its 2004 car, essentially still an updated version of its 2002 challenger, which did not meet new regulations. Stoddart insisted that he had the support of a majority of teams to race with the old cars, but stewards declared the cars were illegal, causing the outspoken Australian to get an injunction from the Supreme Court of Victoria.Faced with the prospect of being blamed for wrecking the Grand Prix in his home country when the FIA, the sport's governing body, threatened to cancel the race altogether, Stoddart agreed to adapt the cars in a last minute effort. Minardi's new car was finally introduced at Imola. It was the first complete technical overhaul the team had seen since 2002. While the PS05 was a decent enough car towards the end of the season, it took a while for the team to learn how to set it up. Unfortunately, this improvement did not materialise in time for the United States Grand Prix, which will enter the history books as one of the most controversial and which gave Minardi its biggest chance of a podium finish, almost an open goal. The battle for faster lap times between two tyre suppliers Michelin and Bridgestone led to a spectacular tyre failure on Ralf Schumacher's Toyota in the banked section of the Indianapolis Speedway and Michelin soon realised that its tyres were not safe to race on. 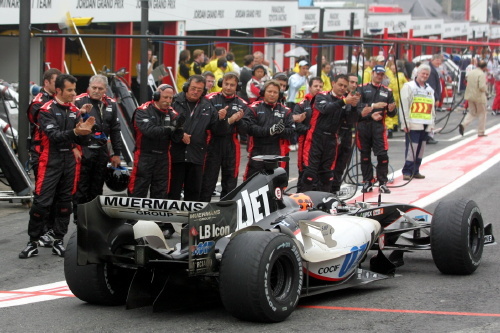 Minardi was one of only three teams which used the Bridgestone tyres and could participate in the "race" when all Michelin teams entered the pit lane after the parade lap. Unable to catch up with Jordan, which Minardi regularly outpaced later that year, Albers came in fifth and Friesacher sixth. Friesacher ran out of sponsorship after the Silverstone event and was replaced by Robert Doornbos, also a Dutchman. The team's performance seriously improved towards the end of the season, with Albers qualifying 15th in Canada and even in 13th in Japan. With engine costs exploding further and having ruffled too many feathers during his time as Minardi team principal, Stoddart found himself with no other option than to sell the team. 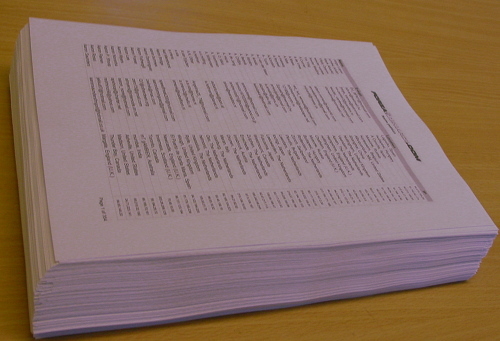 He said later that he received some 40 offers for the team during his time in Formula 1. In the end, it was Red Bull which got the nod, paying $35 million and taking on $14 million in debt. The Austrian energy drinks company kept the factory in Faenza but renamed the team "Toro Rosso", Italian for Red Bull, in spite of a petition by ForzaMinardi.com which urged the company to keep the name and attracted in excess of 15,000 signatures. After 20 years and 340 races, Minardi's time in Formula 1 was up.